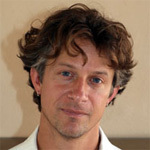 Mark Sample is an Associate Professor of Digital Studies at Davidson College, a liberal arts college located just north of Charlotte, North Carolina. He was formerly in the Department of English at George Mason University, where he was also an affiliated faculty member with Mason’s Honors College, its Cultural Studies program, and the Center for History and New Media. Professor Sample’s teaching and research focuses on contemporary literature, new media, and videogames. His examination of the representation of torture in videogames appeared in Game Studies, and his critique of the digital humanities’ approach to contemporary literature is a chapter in Debates in the Digital Humanities (University of Minnesota Press, 2012). Mark has work in Hacking the Academy, a crowdsourced scholarly book published by the digitalculturebooks imprint of the University of Michigan Press. Mark has remixed the entire text of Hacking the Academy as Hacking the Accident. Mark’s most recent project is 10 PRINT CHR$(205.5+RND(1)); : GOTO 10, a collaboratively written book about creative computing and the Commodore 64, which was published by MIT Press in November 2012. Professor Sample is also an outspoken advocate of open source pedagogy and open source research. In recognition of his commitment to innovation in teaching, Professor Sample was the recipient of George Mason’s 2010 Teaching Excellence Award. Professor Sample is a regular contributor to ProfHacker, a feature at the Chronicle for Higher Education that focuses on pedagogy and scholarly productivity, and he also writes for Play the Past, a collaboratively edited scholarly blog that explores the intersection of cultural heritage and games. Professor Sample can be found online at samplereality.com or on Twitter as @samplereality. If you’re really curious, you can find out everything you need to know about Professor Sample.